We are pleased to announce those who will serve the CIE as Officers of the Commission for the Quadrennial 2019 - 2023, which will commence at the end of the 29th Quadrennial Session. As part of the regular quadrennial cycle of the CIE are the appointments of the various members of the CIE Board of Administration (BA). The CIE BA is comprised of two groups of members, the Officers of the Commission and the Division Directors, the appointments to the first group being the responsibility of the National Committees (NCs). 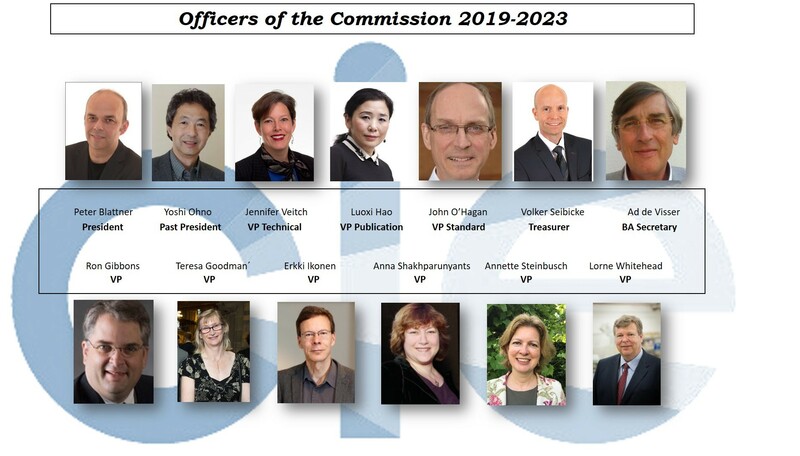 The Officers of the Commission are comprised of the President, President- Elect (Past-President), Vice-Presidents with portfolia (Technical, Publications and Standards), the Treasurer, BA Secretary and several Vice-Presidents without portfolio. In October this year a General Assembly meeting of the NCs was held by WebEx to consider the election of the various candidates who had been nominated and supported by various National Committees.